An African-American girl living in Houston, Texas, with her close-knit family—parents, younger sister, and older brother—grows from flat-chested preadolescent to a young woman about to go to college. Readers meet her on a Sunday morning when she uses the excuse of an upset stomach to stay home from church—and loves it. Brought up in a strictly religious household, Taja begins to question the existence of God and the way of life that she has been taught to lead. When she falls in love for the first time, her inner conflict strains further, and Taja is faced with the biggest challenge of her life thus far. Taja deals with the insecurities that most young people feel regarding identity, love, and fitting in. Her relationship to her spirituality as well as her negotiations with self-discovery, acceptance, and burgeoning sexuality are also explored. 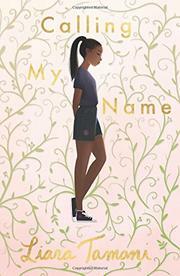 With Taja as narrator, readers see her life juxtaposed against her older brother’s, who is given the freedom traditionally afforded boys and not girls, not just in church, but also by society in general. It’s a slow-build narrative coated in ornate language that may initially distract readers but pays off in the end, bringing them close to the heart of Taja and the higher power she yearns toward.